I host multiple websites on my own linux web server, all these sites run WordPress and on occasion I get prompted for FTP credentials when trying to update plugins or when I try to do a quick edit using WordPress’ built in theme editor. The reason this is presented to you is due to permission on the directories on your web server. Below is a command that you can run from the command line that will change the ownership of all files and folders within the folder you specify. In this example it will modify all files and folders in the public_html folder that I have specified. Run this command on the directory where your WordPress install is located. Once you have run this command, reload the page that was prompting for FTP credentials and it should work as normal. 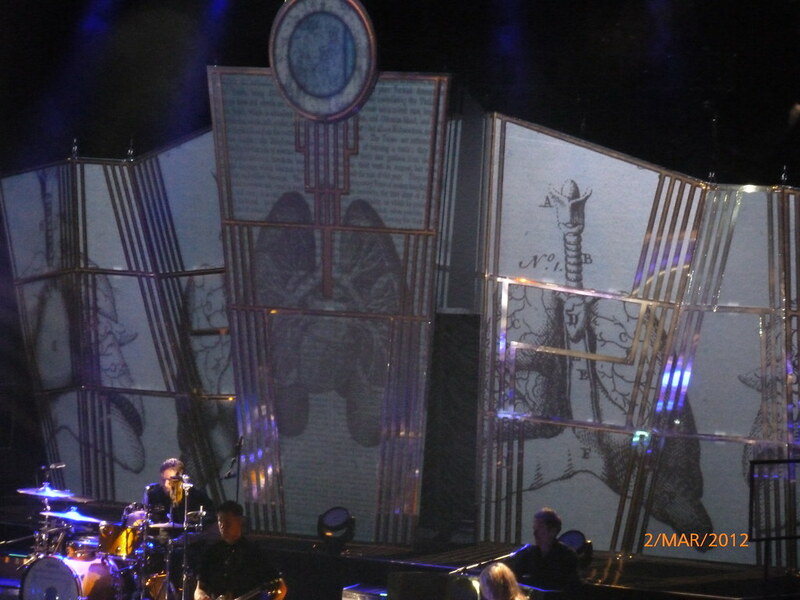 A few weeks back, i got the chance to go see Florence & the Machine. These are a group that i have wanted to see for some time now. Florence had come over to Ireland once or twice before, but i always missed the chance to get the tickets or she was playing at oxegen (Irelands Music Festival), not somewhere i was interested in going. This year, i managed to get my tickets fairly quick, since i am signed up to the florence and the machine mailing list i am considered a fan and i was able to get priority tickets through the florence site. I was waiting in work for the site to open up, i was lucky i got on the site at all, once i ordered my tickets the site crashed due to the sheer volume of people trying to get these tickets! Myself and 3 friends went the gig, this was only my second venture into the o2 since it has been renovated, i had previously been in the Point Theatre (former name for the o2). The last time i was in the o2 was for the Lee Evans gig last October. 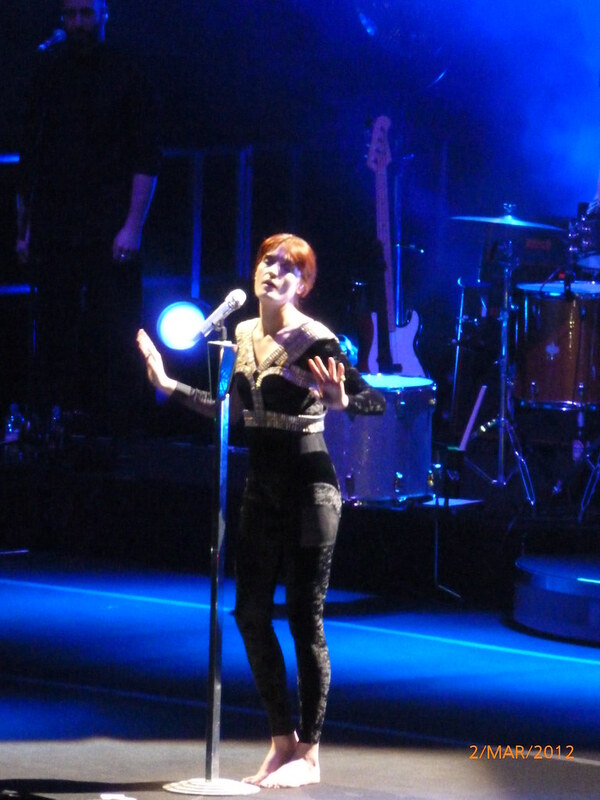 Florence was the first concert i have gone to in the o2, and i have to say it was a brilliant gig. I had booked seated tickets, I prefer them to standing, prefer not to get squashed, although the odd time I do enjoy the atmosphere of hundred of people around me jumping. I couldn’t of asked for any better seats, front row of the balcony, i really like the layout of the 02, no restricted views, everyone gets a good view, wish I could say the same about the Olympia! 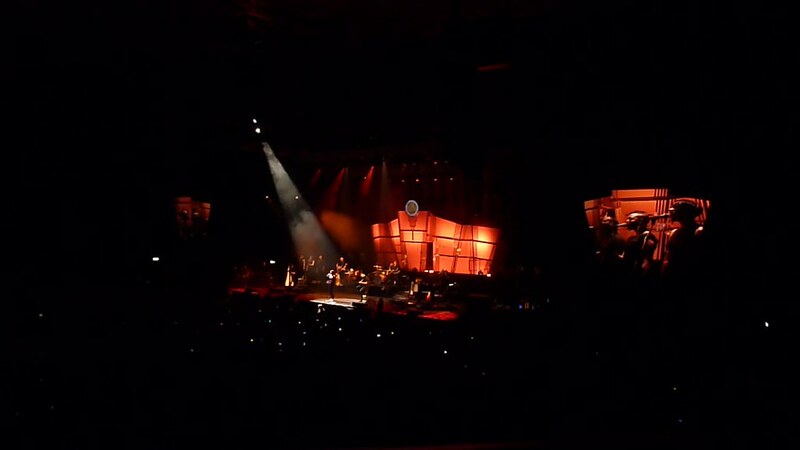 I recorded the video above with my iPhone at the concert, i am always amazed at how well the audio comes out with the iPhone, usually the picture would be better, but only if you are close to the stage, in this occasion i was further away. The song is called Cosmic Love by Florence + the machine. There were two supports acts before Florence was due to perform, i missed most of the first act as the doors opened at 6.30pm and i knew there was no point going until later, also we all wanted to grab something to eat beforehand! 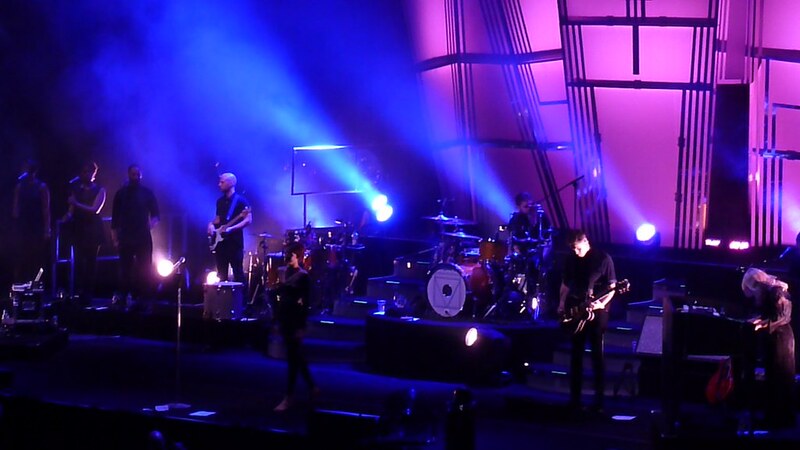 I didnt think too much of the support act, there names escape me at the moment, but they were not for me. 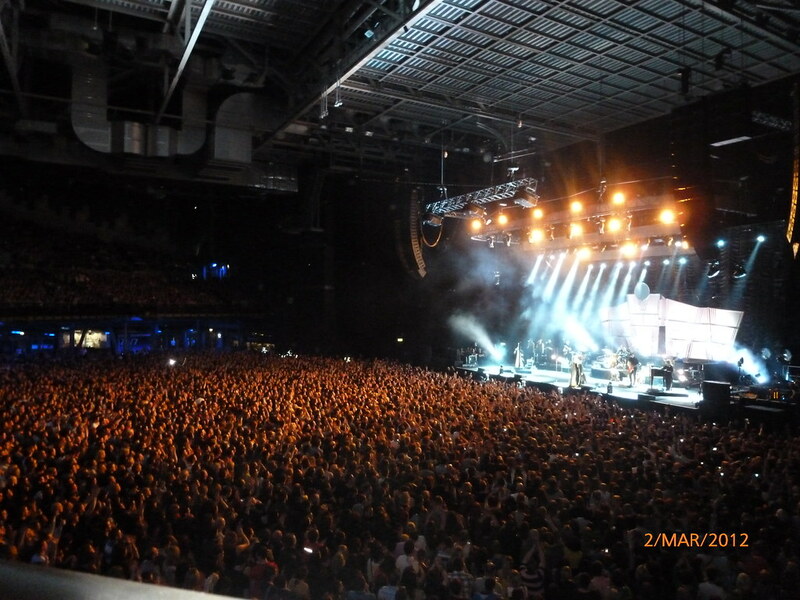 The atmosphere in the o2 was absolutely brilliant, really makes the music better with a great crowd! 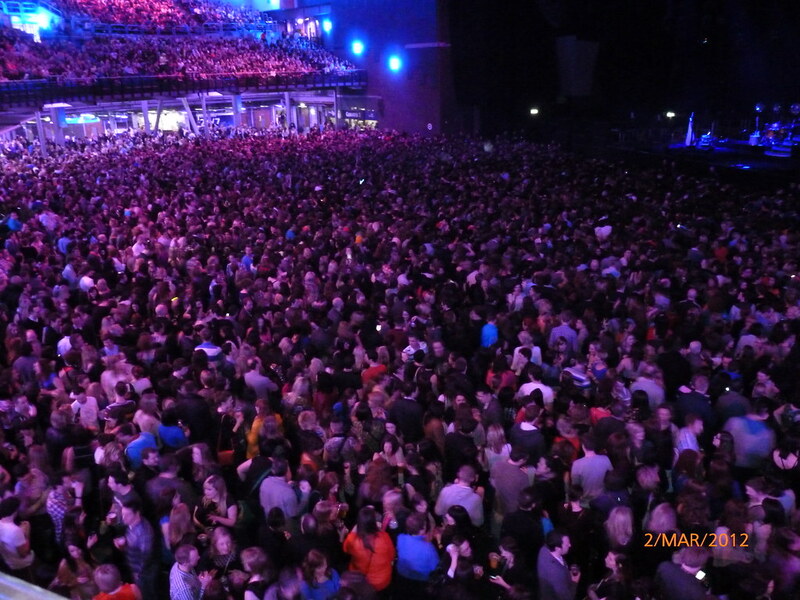 The o2 was packed to capacity. Florence knows how to put on a great show, everyone was jumping about, she even had everyone on the balconies jumping! Although as i was in the front row, we couldn’t take part for health and safety reasons according to the staff, which is understandable considering the drop the far side of the balcony! Once everyone in the venue began to jump, so did the balcony, literally! The balcony shook! I will go to Florence again without a doubt, i really enjoyed the concert. I tried to get tickets for the gig coming up this summer with Snow Patrol and Florence in Phoenix Park, but by the time i went to book the tickets, they had all sold out, and i refuse to pay the prices all the resellers are trying to get for the tickets! Since i had no digital camera with me other than my phone i didnt take many photos, however my friend did, below are a few photographs he took! Click for larger view! 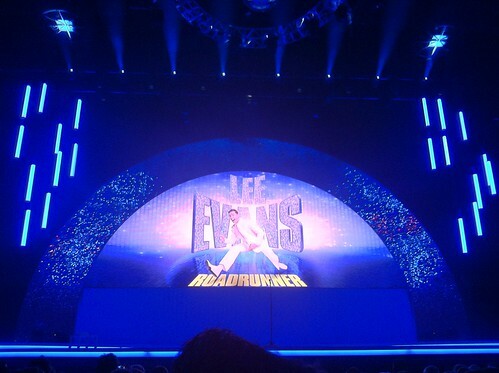 Earlier this week I went to see Lee Evans live in the o2 Dublin. He is my favourite comedian; the tickets came out about a year ago! As soon as I heard I organised ordering tickets for myself, my brother and my dad, as they are huge fans of him too. Little did I know that my brother already knew he was coming and ordered tickets early as a Christmas present for me! He had to tell me then, as I was about to order them. The tickets that we got were amazing, it has been a long time since I was in the o2, the last time was when it was still called The Point Theatre which was years ago. I was looking forward to seeing how the o2 look, gotta say it is fairly impressive, very blue! Anyway the tickets were on the flat section about 4/5 rows back, perfect view for the event! 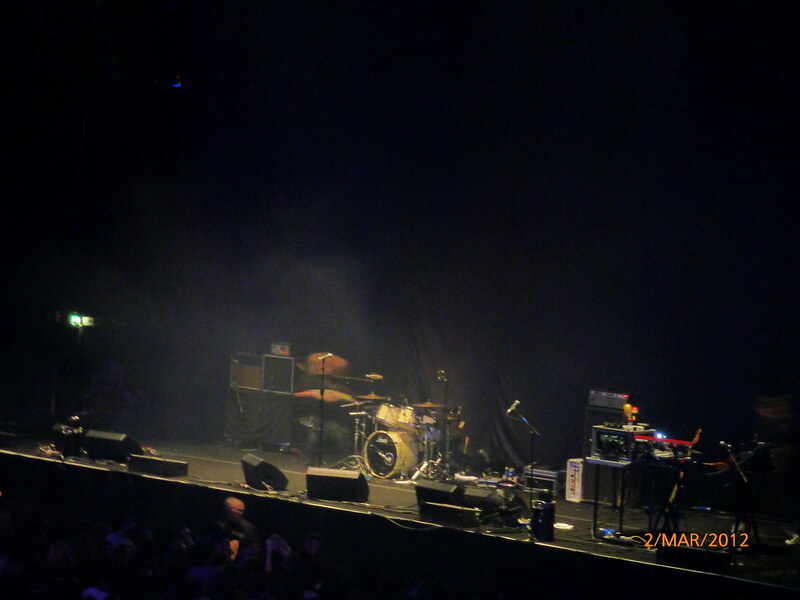 Here is a picture I took before the gig started. Not a bad view! Out of all the comedians i have gone to see so far, this one has to be the most lively. Lots of hype before the show begins with a video highlight reel playing, the intro itself was brilliant showing a short video of the evolution of humans where a stage was forgotten showing the life of lee Evans! There was a brief intermission half way through. I really enjoyed the show, it was without doubt €40 well spent! The show concluded with lee playing a song called funny man on the piano. After he finished the song he thanked everyone who came and then told us about a final act he would do which he has done before in his shows, he was in France and was asked to do a short skit, since he couldn’t speak French he came up with a mime video to bohemian rhapsody, brilliant video. There are no good version of the video online at the moment from the Roadrunner tour, but here is the same video from his Wembley gig.